THE. TIME. HAS. COME. We are picking fixtures and finishes for our home renovation!! You guys, I have been waiting for this time since we started this renovation over a year ago. I can't even tell you how many mood boards, pins and Instagram posts I've saved over the past year. And whoa, has my style changed. I am going room by room to build my design plan for our 3 bathrooms and a kitchen (yikes). I am thinking it would be fun to show you guys my original design plan for each room and where it is now for these Wednesday renovations. What do you think? Yay? Nay? But today - I am talking tile and the top 5 tile trends I am loving. Not to my surprise (or yours I'm guessing) designer, Studio McGee was my go-to source for this trend. All of her design is lovely, but I like this one particularly because it feels fresh and yet traditional. Plus, it looks like one of those looks that can be recreated with some inexpensive tiles and patience. I found this tile at Floor & Decor this weekend. Making a come back! 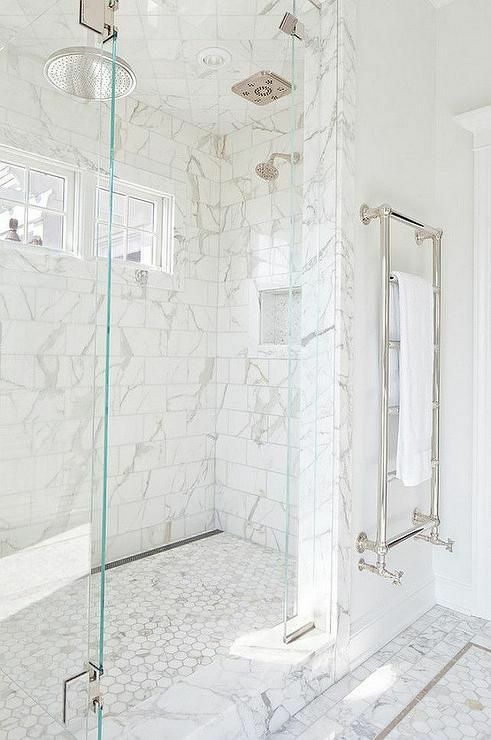 I read that this tile style was popular in the 1920's and I am definitely noticing it's return. I am considering this look for one of our bathroom renovations. It's classic, affordable (read cheap, like $0.12 cents/piece cheap) and the dark grout I have heard is amazing for not having to clean. This one may feel like a given, but the details in this look really make it. My takeaways on how to achieve the look? Option 1 - Pick a large rectangle tile with veining for the walls and pair with hex or herringbone marble tile for the floor. Option 2 - Pick classic subway tile with a darker grout for the walls and pair with hex marble or hex and squares. 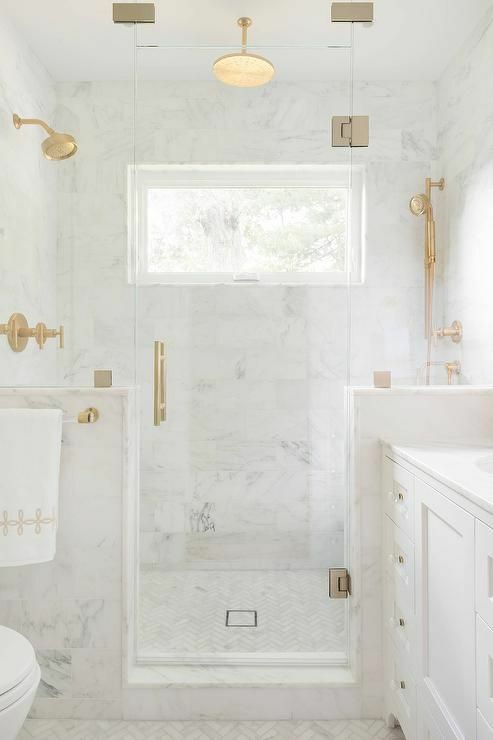 The looks is amazing with either brass or polished nickel finishes, and of course a rain shower. So dreamy. I am really considering this tile for one of our bathroom renovations. It's affordable and when you use a dark grout it makes the tile look more chic. This trend is great for defining a space. It can also be created with a mixture of different tiles (assuming their materials are similar) to be more budget friendly. 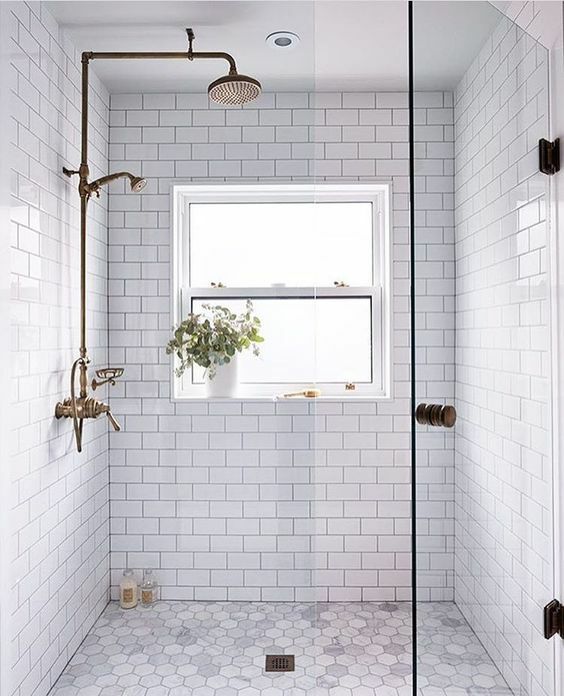 An all around favorite, the only thing holding me back on this tile trend is the price tag and the question of if the look with go out of style quickly. What do you think are these trends here to stay? Which is your favorite?